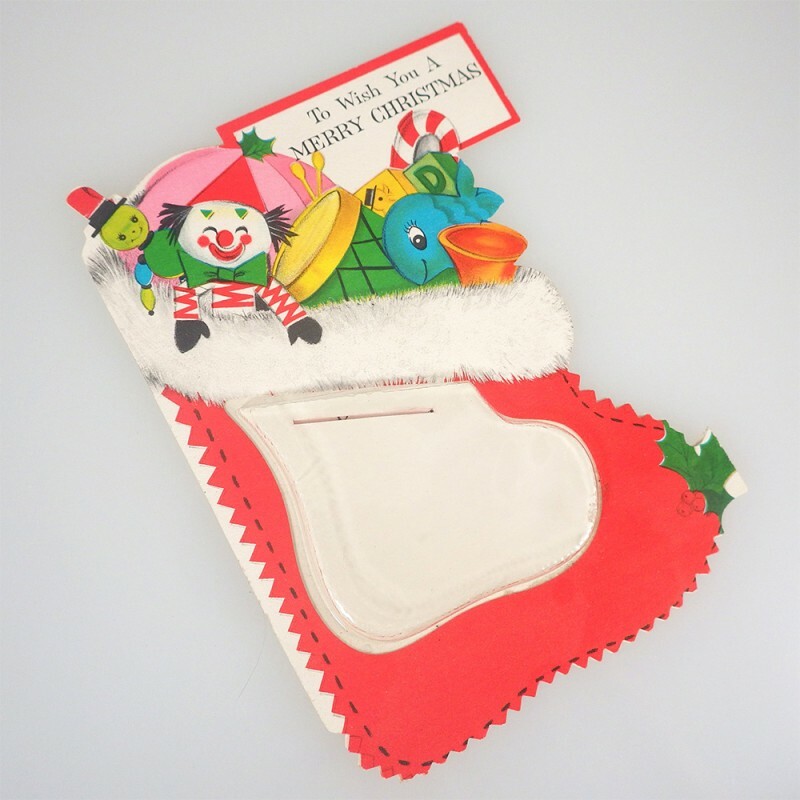 1950s vintage Hallmark Christmas money card depicting a Christmas stocking full of toys, with a built-in plastic box for inserting coins. (Feeling generous? You could always insert dollar bills!) The card edges are finished with a pinking shears zigzag edge. Card measures approx. 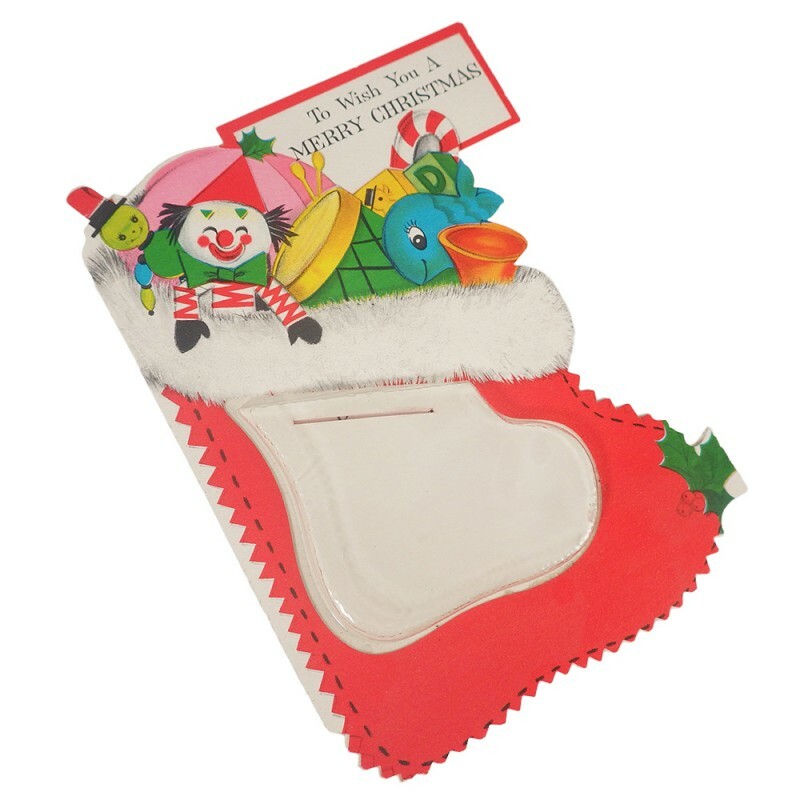 6 inch high and 4-1/2 inch wide and comes with its original envelope. The card is in excellent condition; the envelope has age browning at one side, as shown. Marked with the Hallmark logo and is numbered 25X 844-9 / Hallmark Cards Inc. / Made in U.S.A.